TALLAHASSEE, FL – The Tallahassee-Leon County Planning Commission will hold a public hearing today on a proposal to build a controversial charter school, Stars Middle School, at 3607 Thomasville Road in Tallahassee, reported FLArmenians.com. Stars Middle School is part of an international network of Muslim schools operated by the “Gulen Movement,” a reference to the cult-like nature of followers of Turkish cleric Fethullah Gulen. 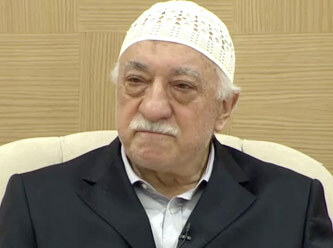 An Islamic political figure, author and religious scholar, Gulen is a Turkish citizen who has lived in self-imposed exile in the Poconos Mountains of Pennsylvania since 1998. Although the process in Tallahassee is currently held up due to the school’s inability to file the necessary paperwork, the current controversy surrounding the city proposal has centered on community concerns of traffic impacts, safety, and city zoning jurisdictions, according to a report by WCTV. The Planning Commission has received over 200 calls and emails in petition to the proposed school, WCTV says. However, a closer look at the shadowy network reveals a deeper process at play, most likely unknown to Tallahassee city officials or residents. The Gulen movement’s network of schools can be found in a dozen countries across the globe. 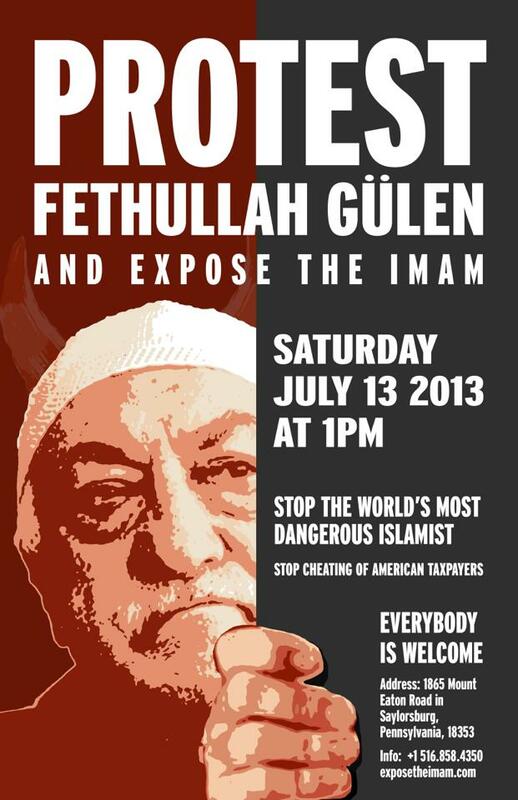 Here in the United States, the Gulen movement – a network of Turkish and Azerbaijani businessman, scientists, engineers, and Islamic religious figures – has propped up 140 schools in 26 states. Texas tops the list with 40 Gulen-connected schools, followed by Ohio with 30. However, the schools have been had difficulty in some states, such as Arizona and Utah, where financial troubles, shady business dealings, and revelations of genocide denial have prompted citizen advocacy groups, teachers and parents to question their merits. “I sent my kids to this school because I wanted them to meet regular Muslims and to see them as ordinary people,” she says. “But when I find that my kids are to be turned into genocide-deniers, that’s very disturbing to me,” the parent told Tucson Weekly. The parent, who spoke to the newspaper on the condition of anonymity for fear of reprisal, was referencing the 1915 Ottoman Turkish Genocide of 1.5 million Christian Armenians in World War I. Over 20 countries and 43 U.S. states recognize the Armenian Genocide, as does a host of respected historians, such as the International Association of Genocide Scholars, the ultimate academic authority on the Holocaust and genocide. In Utah, Beehive Science & Technology charter school faced multiple issues. Muhammet “Frank” Erdogan, a Muslim from Azerbaijan and the principal of Beehive, was the center of controversy when he “questioned conventional accounts” of the Holocaust and fired a teacher for not revising the lesson plan on World War II, according to the Salt Lake Tribune. Beehive was ultimately shut down because it “continuously failed to meet ‘accepted standards of fiscal management,’” according to the Desert News. “This is a case of chronic business mismanagement,” Brian Allen, chairman of the Utah State Charter School Board told the Desert News, after the school lost thousands of dollars. One of the main problems is that the Gulen schools are funded by U.S. taxpayers, to the tune of millions of dollars in some states. Furthermore, the Gulen schools spend those American tax dollars to bring teachers over from Turkey, paying all legal and immigration costs, as well as their salaries. Even when American teachers are hired, they are typically paid less than their Turkish counterparts. Florida has its history with Gulen schools too. Last year, Daily Broward reported that Riverside Science Academy had hired Broward County Democratic Party Chairman Mitchell Caesar to lobby the Broward County School Board on its behalf. The proposal for Riverside Science Academy in Margate did not materialize, as the necessary paperwork was also not filed in time. “I’d be shocked if Floridians knew the true intentions behind these schools and willingly opened their wallets to pay for their construction and for non-U.S. citizens to come to America and teach Holocaust denial to our kids,” stated Margaret Atayants, FLArmenians Tallahassee Officer. The Tallahassee-Leon County Planning Commission hearing is set to take place today, October 1, 2013, at 6:00 PM at Tallahassee City Hall, Second Floor. The proposal for Stars Middle School, Ordinance Number 13-Z-26, is scheduled for debate this evening, according to the Commission’s website. The website also includes a recommendation below the proposal to adopt the ordinance and approve building the Gulen school in Tallahassee. However, a spokesman for the Commission informed FLArmenians on the morning of the hearing that debate on this issue has been continued to the November 5th meeting. ***UPDATE – The Tallahassee Planning Commission continued debate on the ordinance to the following meeting on Tuesday, November 5, 2013 at 6:00 PM. The status of the ordinance is not yet clear. However, the recommendation to adopt the proposal has been removed from the Commission’s website. Floridians are encouraged to call and/or email the Tallahassee City Planning Commission, as well as Tallahassee Mayor John Brooks, and voice their opposition to “Ordinance Number 13-Z-27,” a proposal to build the Gulen-linked Stars Middle School in Tallahassee. – Call (850) 891-6400 and/or Email by clicking here. – Call (850) 891-8181 and/or Email by clicking here. Florida’s tax dollars need to be spent wisely, not on mysterious charter schools run by an Islamic cleric in Pennsylvania. There are plenty of qualified teachers here in Florida. This story was updated at 12:25 PM on Wednesday, October 2, 2013 to reflect the postponement of the hearing. 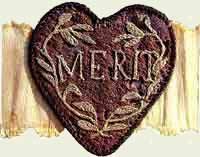 Yesterday marked the 231st anniversary of the establishment of the “Badge of Military Merit,” known today as the Purple Heart, by General George Washington on August 7, 1782. When I first heard this news, I was drawn to the memory of my grandfather, U.S. Army Sergeant Ara Odabachian. Although a well-decorated soldier in his own right, he did not receive a Purple Heart, but there had to have been some Armenians who did. After all, thousands of Armenians have fought valiantly in the U.S. Armed Forces, with verified records dating as far back as the Civil War. Although not a national holiday, the great State of Florida is one of a few states that recognize August 7 as Purple Heart Day. 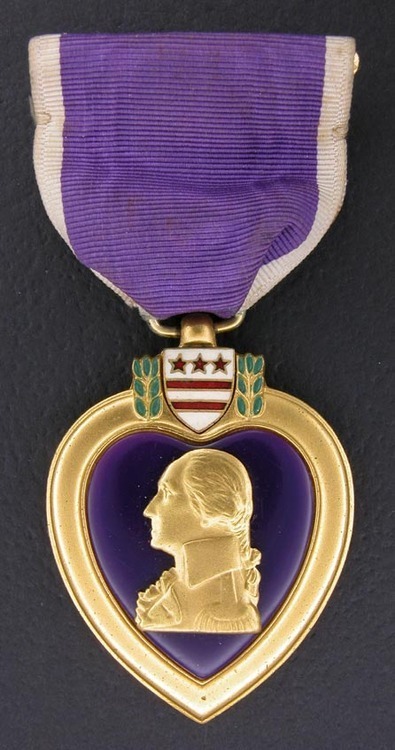 …By order of the President of the United States, the Purple Heart, established by General George Washington at Newburgh, August 7, 1782, during the War of the Revolution is hereby revived out of respect to his memory and military achievements. So that morning I thought to myself, “How many Armenians have received the Purple Heart? Somebody has to know!” To my astonishment, no such list existed, until today. Florida Armenians would be proud to know that two of our very own are on this list. First is Barkef Assarian (1922-2004) from Clearwater who received three Purple Hearts for his service in World War II. 92-year-old Middleton Mustian from Tallahassee, the father of former Tallahassee City Commissioner Mark Mustian, is the second. “My father, Middleton Mustian, served in the medical corps of the Third Army under General Patton, and was wounded near the town of Koblenz in 1945,” Mark Mustian told FLArmenians. “He still bears shrapnel in his leg to this day from it. He told me that, after he recovered from his injury, he was recalled to the front but didn’t want to go back. When he returned to the front he asked his commanding officer why he had called him back, and the officer told him his replacements had been ‘too scared.’ When my father told him that he was scared, too, the officer said, ‘Yes, but you can get the job done.’ It’s still difficult to get him to talk a whole lot about it,” Mustian said. From the Assembly’s 2006 National Advocacy Conference, to the designation of the Colonel George Juskalian United States Post Office in Centreville, Virginia in 2010, and other activities honoring our service men and women, the Armenian Assembly of America has a strong record of raising awareness of and honoring Armenian veterans of the United States. I know this list is incomplete. Therefore, I am asking anyone with more information about Armenian-Americans who have received the Purple Heart to contact the Assembly at info@aaainc.org or 202-393-3434. With the help of the Armenian-American community we can complete this list and together raise awareness of the proud Armenian presence in the U.S. Armed Forces. Please click here to view the Assembly’s list of Armenian Purple Heart recipients. This article originally appeared on the Armenian Assembly’s Blog and has been edited for FLArmenians readers.